Home/Oil & Gas/Romania, dependent on Russian gas transit through Ukraine? Granting subsidies from the state budget to extend gas distribution networks and connect vulnerable consumers to them, extension of Rabla Plus Program including to compressed gas vehicles, reintroducing the environmental tax for polluting vehicles and supporting the petrochemical industry should be, in the following period, the main targets of the government policy to ensure a higher use of natural gas. 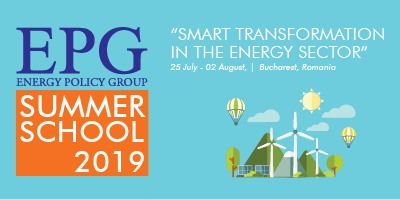 These are the conclusions of the study ‘The perspective of natural gas in Romania and the modalities for their superior capitalization’, prepared by the members of think-tank Energy Policy Group – Vasile Iuga and Radu Dudau. “Security of gas supply of our country depends, in the long run, on the development of domestic gas resources, onshore and offshore. Towards 2030, the biggest contribution to the security of supply can be brought by Black Sea fields,” the authors of the study show. “Romania’s particular vulnerability to gas transit through Ukraine and in the perspective of disrupting these flows by the Russian Federation starting with 2020 – although probably not at once, given the contractual obligations of Gazprom to third states until after 2020 – highlights the importance of strategic planning and development at once of infrastructure projects and alternative solutions for gas supply,” the study points out. The authors rely their recommendations on the results of stress tests carried out in 2017 by ENTSO-G, the European Network of Transmission System Operators for Gas, which simulated 19 scenarios of gas infrastructure dysfunctionality or non-technical interruption of Russian gas supplies through Ukraine. The conclusions don’t look very good for Romania, so that at the current infrastructure, consumption and interconnections, during days with peak consumption, in winter, Romania had to reduce 30% of consumption in the event of interruption of Russian gas supplies through Ukraine. For example, Scenario #1, named “Interruption of all gas supplies to the EU through Ukraine” during 1 January – 28 February, indicates a severe vulnerability for Bulgaria, where gas consumption should be reduced by 71% during the crisis, respectively a moderate vulnerability for Romania (consumption reduced by 9% in February) and a low vulnerability for Greece (consumption reduced by 2% in February), due to infrastructure limitations: extraction from the underground storage facilities is at the maximum, capacities of gas transmission to Bulgaria are completely used in January and February, and the transmission capacity from Hungary to Romania is entirely used in February. For days with peak consumption, Romania’s vulnerability reaches 30%, that of Bulgaria – 79% and that of Greece – 17%,” the quoted document mentions. On the other hand, even if projects of common interest in our area in the gas sector in which the final investment decision was made are implemented, our country will still have a problem of energy security if Russian gas supplies to Ukraine are stopped. Although it has the fourth largest gas production in Europe, Romania would be forced to reduce its consumption by at least 20% in this case. The total number of gas transmission projects in the region is 131, of which only 20 are in the stage of final investment decision. 15 of these are pipeline projects, four are underground storage projects and one project is for LNG regasification capacity. ENTSO-G’s forecasts for 2030 show that implementation of all projects of common interest by 2030 is sufficient to eliminate any risk of reduction of supplies in the region of the Southern Corridor, with the notable exception of Romania. In the scenario in which the development of gas infrastructure limits to the completion of projects with final investment decision, the disruption level in Romania in 2020 is over 20% (the volume available for consumption falls by 20%) and in 2030 the disruption level climbs to over 30%, which singles out our country as the most exposed in the long run to a massive interruption of natural gas supply through Ukraine, the authors of the study also show. The authors of the study recommend supporting access for a greater number of Romanian consumers to the gas network. “Natural gas will remain the preferred fuel for heating in the urban environment. In the absence of legislative constraints that limit the freedom of individual choice, most homes built until 2030 will probably adopt heating systems based on natural gas. Part of the current firewood consumption will be replaced by gas consumption, especially in the sub-urban and semi-urban environment. 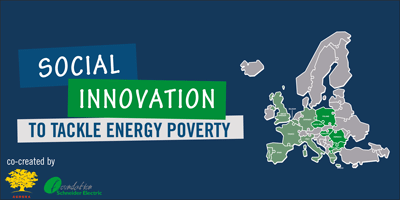 As a measure to fight energy poverty, subsidies granted by the state for expenses with connection to the gas distribution network of potential consumers with low income are opportune,” the mentioned analysis shows, in conditions in which the degree of connection of household consumers to the gas network is currently only 44.2%. “Measures to extend household gas consumption include expansion of distribution networks to new areas of concentration of population and economic activity, possibly with subsidies for connection to the distribution network of potential consumers in the urban and peri-urban environment, whose income is insufficient to cover this type of expenses. It is opportune for the state to take over in whole or in part or by fiscal credit expenses for vulnerable consumers’ access to the gas distribution network, as part of a necessary package of measures to fight energy poverty in Romania,” the authors of the study claim. On the other hand, expanding the systems for the distribution of compressed natural gas (CNG) cylinders is another option that the state should consider to increase access to natural gas in cases where expansion of the distribution network doesn’t prove to be an economically sustainable solution. In order to boost the use of natural gas in transport, the study proposes inclusion in Rabla Plus program of vehicles based on compressed natural gas, together with the electric and hybrid ones, as well as the introduction in the legislation on public procurement of the obligation of an acquisition rate for state institutions of means of transport based on alternative fuels, including compressed natural gas, and in the future based on liquefied natural gas and hydrogen. “For this program Rabla Plus to have a visible impact, the annual budget allocated by the Environmental Fund Administration must increase significantly, from around EUR 10mln in 2017, and the level of subsidies allocated should be sized in a more realistic and efficient manner. Thus, currently, at the acquisition of an electric vehicle, a premium of EUR 10,000 is granted, plus RON 6,500 from the scrapping of a car older than eight years,” the study shows. The authors also propose the reintroduction of an environmental tax at the registration of motor vehicles, according to the model of EU Member States. “In conditions in which Romania had, in 2016, one of the oldest fleets in Europe, with an average age of over 12 years, suspending in 2017 the ‘stamp duty’ at the registration of motor vehicles opened the way for importing more than 500,000 second-hand motor vehicles, from the Western European countries, further increased the average age of the national car fleet. Moreover, such decisions directly undermine the public programs for the renewal of the car fleet and promotion of ‘clean’ mobility, such as Rabla and Rabla Plus, whose positive impact on the environment was fully neutralized,” the authors of the study warn. The mechanism through which the state guarantees an electricity acquisition price during the operation of the units, which should be applied for the project of reactors 3 and 4 from the Cernavoda nuclear power plant, should be taken into account for other forms of production of low-emission electricity, such as natural gas-fired power plants, the document also shows. As far as the petrochemical industry is concerned, one of the largest consumers of natural gas in the economy, the study proposes indirect support measures at European level, in conditions in which the EU legislation does not provide for state aid schemes dedicated to the petrochemical industry. “At the European Union level, it can be collectively decided to impose tariff and non-tariff barriers, in conditions of compliance with the rules and standards of the World Trade Organization and with EU’s trade treaties, for the European petrochemical industry to be protected against international competitors, whose competitiveness is primarily based on subsidizing raw materials prices by the respective countries. Therefore, it is opportune for the Romanian state to include such a target for its economic diplomacy actions,” the authors of the study recommend. Moreover, it is necessary to have a better adaptation of the primary and secondary legislation to the specifics of the petrochemical activity. “For example, the (residual) obligation of plants producing chemical fertilizers to purchase greenhouse gas emission allowances applies to the entire amount of gas consumed by the facilities of the industry, although the volumes used as raw material and transformed by chemical processing in finished product do not lead to the release of CO2 into the atmosphere – otherwise than at the end of an organic biodegradation process or burning of plant matter that has absorbed chemical fertilizers,” the study shows. Such a legislative adjustment would be justified, according to the study, even more so as the chemical and petrochemical industry is included, under the Decision 2014/746/EU, on the list of sectors considered to be exposed to a significant risk of relocation of activity to third countries, where the industry is not subject to comparable carbon emissions restrictions. A more judicious distinction of the destination of the natural gas quantities consumed in the petrochemical industry – energy consumption, i.e. raw material – would allow an increase in the competitiveness of European chemical fertilizers production, the study concludes in terms of measures that should be taken to support this industrial sector.